There is a stark and inexplicable difference in how the mainstream media and bloggers have been covering the Texas based cancer clinic of Dr Stanislaw Burzynski. There has been an explosion of blog posts since the clinic starting threatening bloggers who questioned the claims of the clinic, my own blog included. Instead of looking at the claims of the clinic and the ethical practices involved in the long running ‘trials’, the mainstream media have been unable to tackle the issues in any other way than framed through the stories of desperately poorly children who are wanting to attend the clinic and need hundreds of thousands to get there. When framed in this way, the ‘human interest’ story will always overwhelm any concerns that people may have about this centre. Bloggers, almost without exception, have focussed their writing on the science and ethics of the clinic – both of which have caused much concern. If patients have been involved, it has been tangential and as part of a discussion as to how Burzynski presents himself. The Observer responded to criticism of its own coverage by damning the bloggers who tackled the way in which the paper had discussed Burzynski, calling them ‘sanctimonious and aggressive’ and “having a disregard for the facts”. The paper highlighted how the parents of children with cancer were distressed by much of the online coverage. Indeed this may be true. But the mainstream media is not showing that it is themselves who are putting these vulnerable people into the spotlight where indeed they may be exposed to negative coverage of their “personal choice of treatment”. Bloggers, if they want to cover the issue, are in a near impossible position.They cannot cover the serious issues about Burzynski without being made to look like thoughtless and socially inept fools who will make the families of terminally ill children suffer. For their part, there has not been a single mainstream UK media article, programme or news item that has focussed squarely on how this clinic is almost certainly raising false hope, depriving desperate families of their life savings and misleading the world as to what it is really doing. Even the Guardian had to frame their critical story of Burzynski through a 17 year old, who is himself seriously ill, who is having his own “struggles with injustice”. This morning delivered a particular low point in this story. ITV’s Daybreak programme brought on a girl with cancer, Chiane Cloete, and her father to talk about how they were raising £130,000 to send the five year old to Burzynski. Dr Hilary Jones, the programmes resident doctor, was there on the sofa to discuss the issues. The segment started promisingly with one of the presenters saying how Burzynski was “controversial” and had been tried for fraud, and how the treatments ‘were not recognised by the US authorities. The treatment that Dr Burzynski is offering is very experimental. It is pioneering research, and pioneers in medicine tend to get a rough ride to begin with. This is a simple distortion. Burzynski cannot be described as a ‘pioneer’. He has been treating people in this way for over thirty years. He is using an approach that other investigators have explored and found unsatisfactory. He is also using a ragbag of conventional chemo drugs in a haphazard way. So, whilst, ‘to begin with’ you might expect some harsh criticism. But after decades of being unable to provide decent results from your ‘experiment’ you might start to expect quite a lot more than a ‘rough ride’. Jones is playing straight the Burzynski advertising spiel, described so well by oncologist David Gorsky, as a ‘cult of personality’ where Burzynski is a “brave maverick doctor”. Dr. Burzynski’s stock in trade, as far as evidence goes, is anecdotes and case series without control groups subject to major confounders and selection bias, all wrapped in a patina of science-y sounding gobbledygook designed to mimic what real oncologists and real science do. He keeps numerous clinical trials open to allow him to administer his antineoplastons but never seems to be able to progress to phase III trials or to publish his clinical trial in halfway respectable journals. Unfortunately, although Dr. Burzynski is a good mimic and very talented at portraying the “brave maverick doctor,” he’s not so good at actually doing oncology. As I have shown before, he uses the results of a commercial test that does nothing better that what a lot of other cancer centers do and produces recommendations that are facile and whose applicability to the tumor being tested ranges from the painfully obvious without the test to the highly questionable to come up with cocktails of chemotherapy and targeted therapies without regard to potential interactions. Then, of course, he throws antineoplastons–excuse me, phenylbutyrate–into the mix. The result is a gmish of up to six or seven drugs thrown together without consideration of potential drug interactions, the likelihood of which rises markedly with each new drug added to the cocktail. Worse, Dr. Burzynski tells the press and his patients that he is not giving chemotherapy when, in fact, he gives lots and lots of chemotherapy in a non-evidence-based manner, along with huge doses of antineoplastons, either given as antineoplastons many grams at a time or as phenylbutyrate, which is an HDAC inhibitor and thus chemotherapy. This again is deeply misleading. Burzynski is charging people huge amounts of money to be included in trials. Remember, trials are the only way he is allowed to deliver his treatments. His trials have been going on for decades. No substantial results have been published. People are not normally charged to take part in trials. Indeed, in many cases, patients are paid to take part. The costs for these trials have also been criticised by patients as being disproportionate for what they receive. Appearing to endorse the approach and the costs of the clinic is deeply irresponsible in my opinion. People have been tweeting that I should report Jones to the GMC or that this programme should be reported to Ofcom. I am not sure about that. The main disciplinary hearing I am interested in is when Burzynski faces the Texas Medical Board in the New Year. What I would actually like to see is the mainstream media actually cover Burzynski where he is the subject. Where the story is focussed on the criticisms of the clinic and not on some heart breaking story of a dying child. At the moment, all the heavy lifting around this story is being left to bloggers. And for their efforts, they have been threatened by Burzynski’s hired gangsters. Rhys Morgan, 17, had pictures of his house sent to him. I was told to “Be smart and considerate for your family and new child, and shut the article down..Immediately”. It’s not as if the public only want to hear about heroic children. I have had nearly a quarter of a million page views in the past month regarding these issues. It would not just be ethically right to cover Burzynski properly, but it might also be a sound economic decision. Not that it should be, of course, But it makes it even stranger as to why the media are incapable of doing anything other than promoting this dubious wicked nonsense. Just one very small correction: you say “Indeed, in many cases, patients are paid to take part”. That’s not true: it’s actually very rare for patients to be paid to take part in clinical trials. Healthy volunteers are often paid to take part, and patients are often paid travel expenses, but not usually paid to take part. Still, none of that detracts from the main thrust of the point you are making that demanding that patients pay to be included in a trial is way outside the bounds of ethical medical practice. 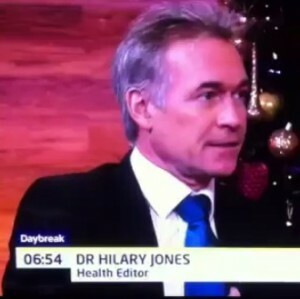 The actions of Dr Hilary Jones are unacceptable. His ill considered words could do untold damage to those trying to show what Burzynski really offers. I can only hope for his own conscience he had not looked into the issue properly and was speaking without full knowledge of the facts. If all skeptics followed that one we wouldn’t have any. Apparentley it’s ok for an IT person to comment on medical matters because they can search the net and look at conclusions of research studies without actually knowing anything about medicine or research for that matter. But if a medically trained doctor airs his views, and lets face it Andy Lewis doesn’t have a flying clue just how much Dr Jones knows, well thats not on. Of course Liam, as a chiropractor, I would expect you to know even less. Would you care to point out where in my analysis I am wrong, or is ad hominem all you can muster here? Andy my comment was aimed at the point the job Dr. made ie “Dr jones clearly has a limited knowledge of the subject” Has he? does the Jobbing Dr know Dr Jones? Do you? Do you actually know if Dr jones has researched this clinic or worked in oncology in the past? Its not ad hominem its a simple answer to the jobbing Dr, I would like to hear his/her response especially as they have used the above quote. And of course Dr lewis as a chiropractor I know very little compared to you. 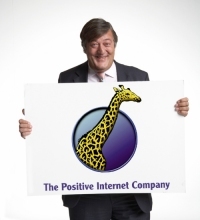 A few complaints to OFCOM – http://www.ofcom.org.uk – might focus their minds on more rigorous fact-checking in future. They take a dim view of broadcasts that can actually be hazardous to public health and well-being. The problem is that we have to allow free speech, which means that people have to be allowed to make idiots of themselves. It’s a form of justice I suppose. Quite. Happy for all to have free speech. That is, in part, my reluctance to feel good about complaining to some authority about this. What is far less forgiveable is giving influential platforms to voices such as this. The most frustrating thing about this whole sorry story is how so-called professional journalists are apparently incapable of investigating Burzynski with any sort of professional journalistic skepticism. While representatives of the media claim that bloggers aren’t real journalists, the only real journalism on Burzynski is being done by bloggers. You’d think the media would use this opportunity to show what they can do, to show the investigative skills and techniques they claim bloggers don’t have. It certainly makes you less sympathetic to their cries of lost revenue and budget cuts. What use are they in this story, really? Well, if you look at the US the only news companies that are losing money are ones that use journalists to report stuff. More affirming networks like MSNBC, Fox etc have never done better. Interesting how many of us will claim “injustice” when things are not going to be the way we want! If someone lied to me like that if I were at that position in life I would most likely hate and resent them enough to try and strike back! Dr Jones is not a scientist. Had the programme wanted one they would have asked an oncologist. Dr Jones has no real understanding of the work of the Clinic. Had the programme wanted such commentary they would have invited Andy lewis. Dr Jones has the job of satisfying the viewers appetite for emotional engagement. Not for intellectual integrity. That might put the viewrs off, and reduce the impact of advertising which is what the programme sells. Dr Jones did what his employers wanted. He did a good job. Whether he can live with himself is another matter. In the US the movie has run on the Documentary channel on DirecTV satellite service. The movie review site RottenTomatoes.com shows 42% of reviewers likes the movie (5 vs.7) with a rating of 4.5/10. However 90% of 109 viewers liked it and gave a rating of 4.3/5. It came off as an overly long infomercial to me. Poor Dr. vs. an evil bureaucratic FDA. I cannot comment on all the footage as the portions I sampled were very repetitive. The favorable reviews mimic supporters and the unfavorable mimic bloggers. I can’t recall a single health story that has been well reported on in the maintream media. More power to you Sir and your associates. We need more of this. I get everyone’s point about mainstream media not critically covering the Burzynski story, but have any of you bloggers actually written an article and tried to get it published in a mainstream newspaper as a freelence writer? Let’s face it there are a whole raft of intelligent, eloquent and entertainingly readable bloggers out there that are extremely well informed on this subject. If not I suggest that it’s the next step. 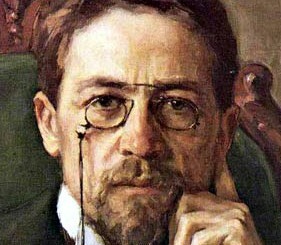 There is an anti-blogger sentiment in the main media. Whether it is jealousy or fear is difficult to determine. But if I want a well researched and well written piece on any topic I will check the blogosphere first. It’s sad that the main-stream do not acknowledge the contributions that authors such as Andy Lewis make. The mistakes made on TV and in print about Burzynski would have been easily avoided by perusing blogs such as this. The “brave maverick” doctor ploy has an unpleasant provenance. Unfortunately the gee-wow end of the media love it. We saw much of it in the UK with Dr Wakefield and the measles-mumps-rubella vaccine scare in the 1990s. http://josephinejones.wordpress.com/2011/12/23/my-complaint-to-itv-regarding-dr-hilary-jones-and-the-burzynski-clinic/, I complained about this to ITV Viewer services on 23rd December and the only response I’ve had so far (on 28th December) was to say that my email has been passed on to the Daybreak production team. “I’m concerned that I have still had no response from the Daybreak team to my email of 23rd December (copied below). I find it very worrying that Dr Hilary Jones presented this highly dubious clinic in such a favourable light, even brushing off the well known legal problems by stating that ‘pioneers in medicine tend to get a rough ride to begin with’. This was appalling and deserves attention. Since my last email, it has come to light that a former patient of the clinic is seeking damages from Dr Burzynski (and his companies) for negligence, negligent misrepresentation, fraud, deceptive trade and conspiracy. She says that the defendants failed to disclose that her treatment was part of a clinical trial and charged her $500 per pill for drugs she could buy elsewhere for a fraction of that price. I’ll let you know what kind of response I get, if any. I hope you’re just spreading propaganda because if actually believe what you wrote then you need to get your head examined by Dr. Burzynski. Let me reply here to all of your claims against Dr. Burzynski from all of your articles. First you mentioned there are no peer reviewed results that are positive. Well that is because the NCI deliberately changed the protocol to skew the results. Further the FDA contacted all institutions that did any business with him and discouraged them to do business with him and to also skew the results. This is all documented and shown in the movie. Speaking of the movie, it is actually free on their website when you tried to imply that he is a money making fraud by selling the movie that you had to either buy or rent. Second I keep hearing that he has been accused. Yes, but you might want to mention the other side of the story; which is that he was dropped of all charges because the FDA constantly makes some bogus claims to criminalize him repeatedly. Oh and there are statistical results. Burzysnki’s method work 5 of 20 (25%) patients; whereas chemo/radiation work 5 of 54 patients (9%) of the time. There is plenty to the story that you don’t address. I suggest people to watch the movie and judge for yourself. Mike, your arguments are as valid as your grammar.